1. The enterprises that are established, organized, managed, and operate under the Enterprise Law (including enterprises with foreign investment in Vietnam). 2. Cooperatives, unions of cooperatives, cooperative groups, farms, households, individuals and other organizations of Vietnam that employ laborers. 3. 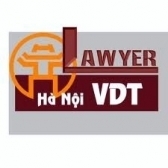 Agencies, foreign organizations, international organizations and foreign individuals in Vietnam that employ laborers (except for international agreements which the socialist Republic of Vietnam is a member otherwise provide for). The companies, enterprises, agencies, organizations and individuals specified in clauses 1, 2 and 3 of Article 1 of this Circular, hereinafter collectively referred to as enterprises. 1. The laborers working under labor contracts stipulated in Decree No.44/2003/ND-CP dated May 09, 2003 of the Government detailing and guiding the implementation of some Articles of the Labor Code on labor contracts. 2. Public employees as managers enjoying salaries in the enterprises, including Management Board’s members, members of the Members Council or the company president, General Director, Director, Deputy General Director, Deputy Director, Accountant chief, inspectors and other persons working as managers enjoyed salary. a) The level of 2,000,000 VND/person/month applies for the enterprises operating in the area of region I.
b) The level of 1,780,000 VND/person/month applies for enterprises operating in the area of region II. c) The level of 1,550,000 VND/person/month applies for enterprises operating in the area of region III. d) The level of 1,400,000 VND/person/month applies for enterprises operating in the area of the region IV. 2. The area applies region-based minimum wage level specified in the Appendix issued together with Decree No.70/2011/ND-CP of August 22, 2011 by the Government. a) The area that has the change of name or split, temporarily comply with the region-based minimum wage level for the area before changing the name or split; in case of newly established areas from the areas with the various region-based minimum wage level shall apply the region-based minimum wage level upon area with the highest region-based minimum wage level; in case of establishment of cities directly under provinces from an area or the areas of region IV, then implements the region-based minimum wage level applying to area of region III. b) Enterprises operating in the adjacent areas with the various region-based minimum wage levels shall apply the region-based minimum wage level upon area with the highest region-based minimum wage level; enterprises having units, branches operating in the areas with the various region-based minimum wage levels, the unit or branch operating in a certain area, shall apply the region-based minimum wage level of such area. c) The industrial zone, export processing zone located in the areas with various regional minimum wage levels, enterprises operating in such industrial zone, export processing zone apply the region-based minimum wage level upon area with the highest region-based minimum wage level; where industrial zones, export processing zones having subzones located on the areas with the various region-based minimum wage levels, enterprise operating in a certain subzone, shall apply the region-based minimum wage level of such subzone. 1. The region-based minimum wage level prescribed by the Government is the lowest wage level as the basis for enterprises and employees to agree salaries to pay to the employees, but the wage level calculated by month paid to employees who are untrained, do the simplest jobs in the normal working conditions, ensure adequate standard working days in month and complete the labor norms or the works agreed upon, is not less than the region-based minimum wage level stipulated by the Government. 2. The lowest wage level required to pay to the employees who have undergone vocational training (including laborers who are trained by enterprises) must be at least 7% higher than the region-based minimum wage level stipulated by the Government. - Those who have been trained by enterprises or self-study and examined by enterprises, arranged to do the jobs required to be trained. a) For the enterprises who have developed and promulgated wage scales and payrolls shall be based on the region-based minimum wage level prescribed by the Government to review and adjust the wage level in the wage scales, payrolls, allowances, the wage levels in labor contracts and perform other regimes for the employees properly, but must satisfy the principles of formulating the wage scales, payrolls as stipulated in Decree No.114/2002/ND-CP of December 31, 2002 of the Government detailing and guiding the implementation of some Articles of the Labor Code on wages and Circular No.13/2003/TT-BLDTBXH dated May 30, 2003, Circular No.14/2003/TT-BLDTBXH dated May 30, 2003, Circular No.28/2007/TT-BLDTBXH December 05, 2007 of Ministry of Labour - Invalids and Social Affairs. b) For the enterprises that have not developed wage scales and payrolls, shall be based on the region-based minimum wage level prescribed by the Government to calculate the wage levels when formulating wage scales and payrolls, allowances of the enterprises, but must satisfy the principles of formulating the wage scales, payrolls prescribed by the labor law (wage levels can be defined by coefficients compared to the minimum wage level selected by the enterprises or specific amount level, but the wage level 1 in the wage scale, payroll must be higher than the region-based minimum wage level prescribed by the Government); determine and adjust the wage levels in the labor contracts and perform other regimes for the laborers properly. c) The determination of adjustment level of wage levels in the wage scales and payrolls, allowances (for the enterprises who have developed and promulgated wage scales and payrolls) or determination of wage levels when formulating the wage scales and payrolls (for the enterprises that have not developed wage scales and payrolls); the adjustment level of wage levels in labor contracts and other regimes for employees in accordance with the provisions in point a, and point b, clause 3 This Article shall be agreed by the enterprise, the grassroots trade union executive committee or executive committee of provisional trade union and employees, but must ensure a reasonable wage relationship between laborers who are untrained and laborers who have been trained, and laborers with high professional qualifications and high technical skills, laborers who are recruited newly and senior laborers who are working in enterprises. 4. Upon applying the provisions of this Circular, the enterprises must not remove or cut the wage regimes when employees work overtime, work at night, wages or allowances to work in the hazardous, hard working conditions, subsidy regime in kind for the hard, hazardous careers and other regimes as prescribed by labor legislation. Allowances, subsidies, and bonuses provided by enterprises shall comply with the agreements in labor contracts or collective labor agreements or in the Regulation of the enterprise in accordance with provisions of labor legislation. 5. To encourage enterprises in agreement to apply a minimum wage level of higher than the region-based minimum wage level prescribed by the Government for use as a basis for implementation of the regulations in clause 3, Article 4 of this Circular; to pay salaries for employees higher than compared with the provisions in clause 1 and clause 2, Article 4 of this Circular. 1. This Circular takes effect from October 31, 2011. 2. To encourage enterprises to organize mid-shift meal to ensure the health of laborers, contributing to increase labor productivity, improve the efficiency of production and business of enterprises. The amount of mid-shift meal and the organization of mid-shift meal shall be agreed by the enterprises, the grassroots trade union executive committee, or executive committee of provisional trade union and laborers on the basis of ensuring the nutrition, quality and safety, and food hygiene. For one member limited liability company owned by the State, parent companies - the state economic corporations, state-owned companies that have not been transformed into limited liability companies or shareholding companies, organizations, units that are applying the wage regime as the state-owned companies, they shall continue to apply the mid-shift meal amount as prescribed in Circular No.12/2011/TT-BLDTBXH dated April 26, 2011 of the Ministry Labour - Invalids and Social Affairs. 3. Companies, organizations and units specified in clause 4, Article 5 of Decree No.70/2011/ND-CP dated August 22, 2011 of the Government, implement the common minimum wage to calculate the wage unit price and wage levels in the wage scales, payrolls, allowances issued together with Decree No.205/2004/ND-CP and Decree No.204/2004/ND-CP of December 14, 2004 by the Government as a basis to make the regime of social insurance, health insurance, unemployment insurance and other regimes in accordance with provisions of labor legislation; payment of wages to employees must ensure compliance with regulations on the application of the region-based minimum wage level in clause 1 and clause 2, Article 4 of this Circular. Companies, organizations, units who do not built and report wage unit price as prescribed, or having no profit or get lost, or have labor productivity of average performance, profit less than the plan, when determining the wage fund shall apply the region-based minimum wage level prescribed by the Government (from January 01, 2011 to the end of September 30, 2011 as stipulated in Decree No.108/2010/ND-CP of October 29, 2010; from October 01, 2011 to the end of December 31, 2011 as stipulated in Decree No.70/2011/ND-CP dated August 22, 2011) to determine the regime wage fund of laborers and the regime wage fund of public employees as managers stipulated in Circular No.07/2005/TT-BLDTBXH, Circular No.08/2005/TT-BLDTBXH dated January 05, 2005 and Circular No.27/2010/TT-BLDTBXH dated September 14, 2010 of the Ministry of Labour - Invalids and Social Affairs. a) Companies, organizations, units ensuring to fully meet the conditions prescribed at point b, clause 1, Item III of Circular No. 07/2005/TT-BLDTBXH dated January 05, 2005; Article 5 of Circular No.27/2010/TT-BLDTBXH of September 14, 2010 of Ministry of Labour - Invalids and Social Affairs are selected to apply the minimum wage level (not limited the maximum level) higher than the common minimum wage level prescribed by the Government by each period to determine the wage unit price of the employees and planned wage fund of the managing employees. In addition, companies, organizations, units are selected to apply the additional adjustment coefficient of wage funds to determine the planned wage fund of managing public employees as prescribed in Circular No.08/2005/TT-BLDTBXH dated January 05, 2005 and Circular No.27/2010/TT-BLDTBXH dated September 14, 2010 of Ministry of Labour - Invalids and Social Affairs as ensuring additional conditions: increase rate (in percentage%) of planned average wage compared with the implementation of the preceding year (from the wage fund approved, appraised by the owner) of specialized and responsible managing public employees does not exceed the increase rate (in percentage%) of planned average wages compared to the implementation of the preceding year of the employees. b) Companies, organizations, units not ensuring to fully meet the conditions prescribed at point b, clause 1, Item III of Circular No.07/2005/TT-BLDTBXH dated January 05, 2005; Article 5 of Circular No.27/2010/TT-BLDTBXH of September 14, 2010 of Ministry of Labour - Invalids and Social Affairs, or plan of production, business got loss or unprofitable, apply the common minimum wage level prescribed by the Government by each period to determine the wage unit price of the employees and planned wage fund of the managing public employees as prescribed in Circular No. 07/2005/TT-BLDTBXH, Circular No.08/2005/TT-BLDTBXH dated January 05, 2005 and Circular No.27/2010/TT-BLDTBXH dated September 14, 2010 of Ministry of Labour - Invalids and Social Affairs. c) The companies or organizations, unit not formulating or reporting wage price, or the results of production, business losses or unprofitable, or labor productivity of average performance, profit implemented lower than the plan, apply the common minimum wage level prescribed by the Government in each period to determine the regime wage fund of laborers and the regime wage fund of managing pubic employees (for the case not formulating and reporting wage unit price, or the results of production, business losses or unprofitable), the regime wage fund as adjusting the wage fund comply with labor productivity and profits (for the case of labor productivity of average performance, implemented profit is less than the plan). Companies, organizations and units specified in point b and c, clause 3.2 of this Article when determining the wage fund of performance for laborers with regime wage level (being-enjoyed wage coefficient according to wage scale, payroll issued together with the Decree No.205/2004/ND-CP and Decree No.204/2004/ND-CP of the Government multiply with the common minimum wage) lower than the region-based minimum wage prescribed by the Government shall be calculated equal to the region-based minimum wage paid to the employees. d) The project management units of construction investment of companies, organizations, units are selected to apply the minimum wage level higher than the common minimum wage level, but not exceeding the minimum wage level selected by the companies, organizations, units for calculation of wage unit prices and must ensure not to increase the administrative costs of the project management units for use as a basis to establish wage fund to pay to the employees. 4. Funds for implementation of the region-based minimum wage as prescribed in this Circular shall be accounted into the price or cost of production and business of the enterprises. 5. To annul Circular No.36/2010/TT-BLDTBXH dated November 18, 2010 of Ministry of Labour - Invalids and Social Affairs guiding the implementation of the region-based minimum wage level for enterprises, cooperatives, unions of cooperatives, cooperative groups, farms, households, individuals and other organizations of Vietnam that employ laborers: clause 1 and clause 2, Article 4 of Circular No.12/2011/TT-BLDTBXH dated April 26, 2011 of the Ministry of Labour - Invalids and Social Affairs guiding the implementation of the common minimum wage level for one member limited liability company owned by the State. 6. The ministers, heads of ministerial-level agencies, heads of governmental agencies, presidents of People’s Committees of provinces and cities directly under central authority shall direct, urge and inspect the enterprises for complying with provisions of this Circular. During the implementation, if any problems arise, should reflect to the Ministry of Labour - Invalids and Social Affairs for timely guidance and supplementation.